With the trade deadline 25 days away, the Calgary Flames sit atop the Pacific Division with a fairly-comfortable six-point lead ahead of the second-place San Jose Sharks. As the Flames prepare for first game after their bye-week Friday night in Washington, General Manager Brad Treliving is busy exploring the market and looking for ways to further strengthen his roster. The Flames are believed to be in the market for a physical forward with some bounce in his step to add to their forward corps. Calgary has been linked to Philadelphia Flyers winger Wayne Simmonds and former-Flame and current Carolina Hurricanes forward Michael Ferland, among others, and if the right deal presents itself, it wouldn’t come as a surprise if Treliving made a move to bolster his team up front. 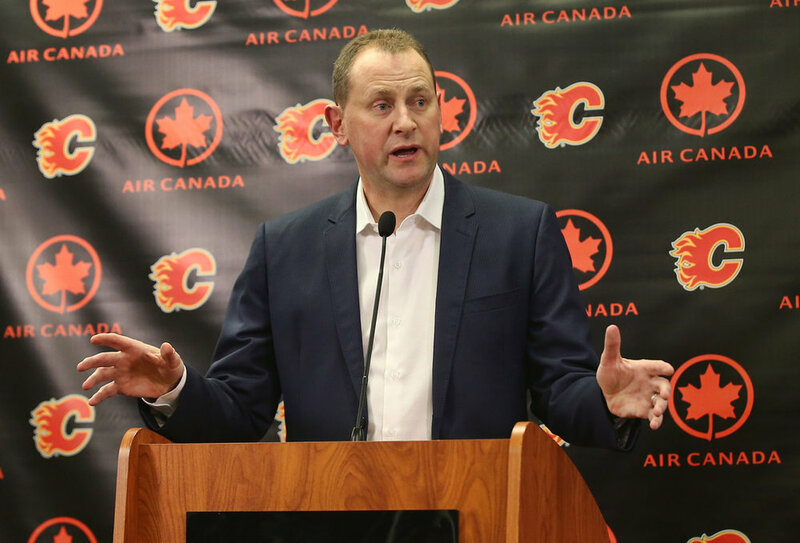 Prior to the All-Star break, Treliving suggested to the Calgary Herald he was already well on his way to collecting information and doing his due diligence on who might be available around the League. With some salary cap space to play with – roughly $7.09 million once the deadline approaches, according to CapFriendly – Treliving has some flexibility to add without giving up a significant roster piece in return.